Here is another Rubbish King of the Jumble picture just for Mr Jez. This is a sheet to explain what to do with shadows. This series was made in the days of cells and painting on each individual cell. 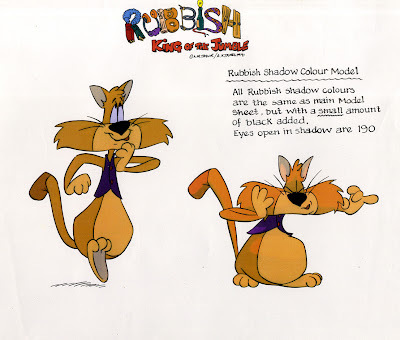 So when the character goes into shadow a different colour paint needs to be used on that part of the character. Its a lost art I am afraid.